The Joint Center for UltraViolet Astronomy (JCUVA) is an initiative of the Universidad Complutense de Madrid (UCM) and the Institute of Astronomy of the Russian Academy of Sciences (INASAN) for the joint management of the WSO-UV Space Telescope scientific activities. JCUVA activities comprise sharing the management of the WSO-UV science program and the scientific operation of the telescope also including scheduling, data processing, data management and archiving. 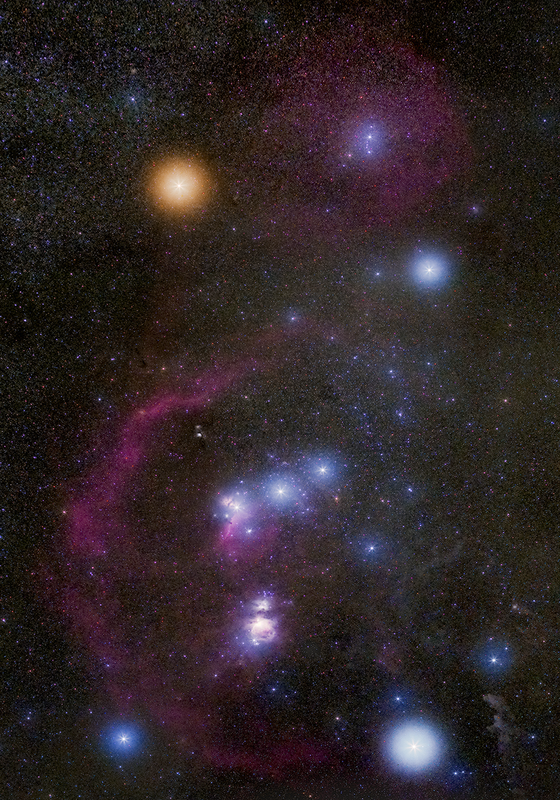 JCUVA research is focused on star and planet formation, interstellar medium and the investigation of the emergence of life, from the chemical evolution of the Universe to the mixing processes associated with stars and stellar evolution. JCUVA is also involved in the development of some small UV facilities based on cubesat technologies. 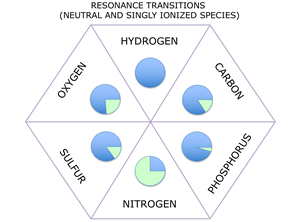 The ultraviolet (UV) range is unmatched by any other spectral range in number of resonance transitions of the elements required for life, H, C, N, O, S, P. At temperatures below 30,000 K, more than 75% of the resonance transitions of the neutral and singly ionized states for these elements are in the 90–320 nm range, with the only exception of nitrogen. 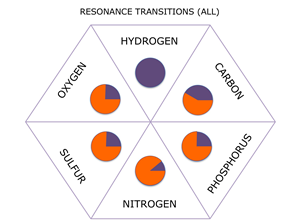 Fraction of resonance transitions of the basic bio-elements observed in the 90-320 nm spectral range. Left: only resonance transitions of neutral and singly ionized species are considered; the percent of transitions in the 90-320nm is marked in violet; green otherwise.